Silvio Cella had a distinguished career in high school and college athletics as a student/athlete, coach and administrator. He began his professional career at Revere High School as a mathematics teacher in 1950. Mr. Cella was appointed athletic director at Revere High School in 1959, where he also served as head football coach for 28 years. As athletic director, Mr. Cella oversaw all school athletic events and programs, and worked to expand the sports curriculum to include a broad range of varsity and junior varsity activities. He was voted Massachusetts Athletic Director of the Year in 1987 and served as president of the Greater Boston League from 1978-1980. Mr. Cella also served as the League’s Baseball Commissioner. 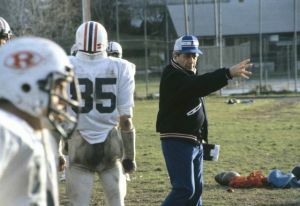 During his tenure as head football coach at Revere High School, Coach Cella achieved many distinctions, including being named Massachusetts Coach of the Year and National Sons of Italy Coach of the Year. He was inducted into the Massachusetts High School Coaches Hall of Fame and the National Football Federation Hall of Fame. 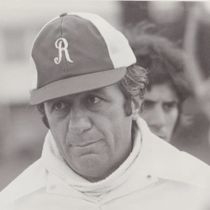 In addition, Coach Cella earned over 100 victories as a head coach, leading his teams to five Greater Boston League championship titles. He coached the first Greater Boston League team to participate in a state SuperBowl (1973, SuperBowl II). 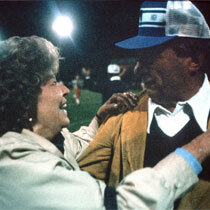 Coach Cella also served several times as head coach of the Harry Agganis Football Classic. As a student athlete at Revere High School, Silvio Cella was a stand-out in football, baseball and track. 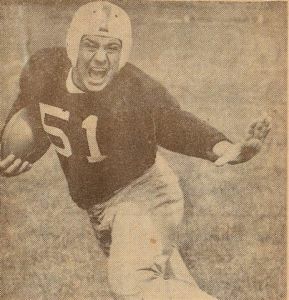 He went on to Boston University where he was a two-way starter under coach “Buff” Donelli, playing with local football legend Harry Agganis. Silvio Cella was named UPI All American in his senior year. He served in the United States Marines during World War II, and went on to graduate from Boston University where he was appointed freshman football coach for the B.U. Terriers. He also went on to earn a master’s degree in education. 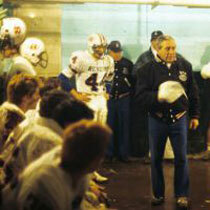 Coach Cella retired as head football coach in Revere in 1983. His son and former assistant coach, Michael Cella, was named head football coach at Revere High School in 1987, and is currently an assistant football coach at Winchester High School. Very active in community service, Mr. Cella supported a number of local organizations, including the Boys’ Club of Revere, Revere Public Library, Special Olympics, United Way, V.F.W., American Legion, Sons of Italy, Kiwanis Club of Revere, the city’s “Say No to Drugs” Committee, and the Blue Ribbon Committee on Recreational Development. Silvio Cella was married in 1949 to the former Mary Cataldo, who passed away in 1994. His son Steven, born in 1951, died in 1969. He is survived by his daughter, Gina Cella, his son, Michael Cella and his wife Pamela (Corbett) Cella, his grandchildren Steven Cella and his wife Lea, and Stephanie Cella Scalese and her husband Mark. He also has three great grandchildren, Julien Cella, Domenic Cella Scalese and Addison Mary Scalese.